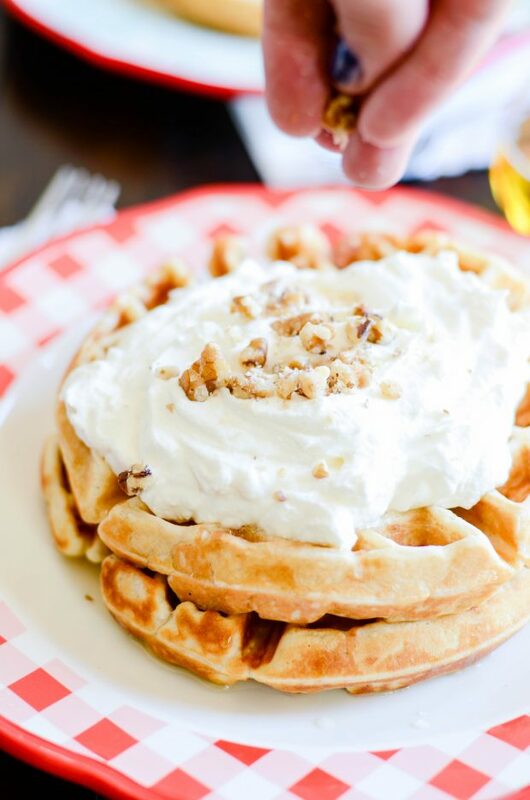 These are our family’s very favorite homemade belgian waffles. Crispy on the outside, soft and steamy on the inside. You know what today is? It’s the first day of the WEEKEND! Because I count Friday as the weekend. Mentally, it’s just a survival mechanism. Anyway. 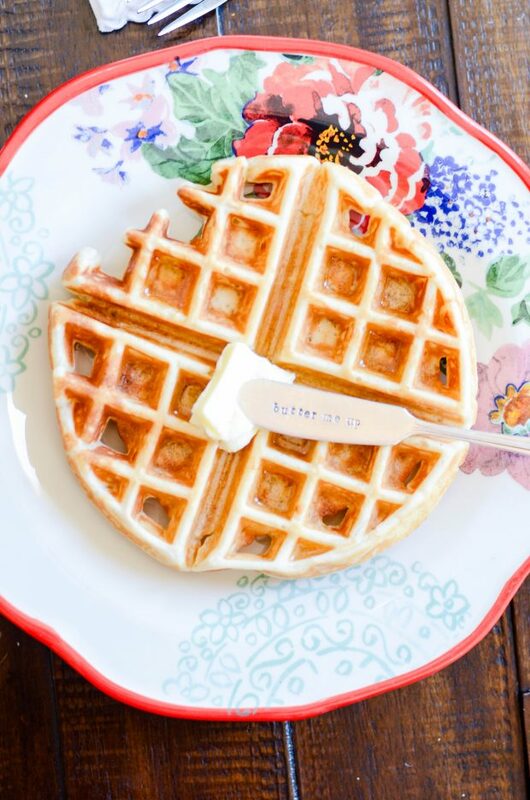 The weekend means it’s time for waffles. And not just any waffles. 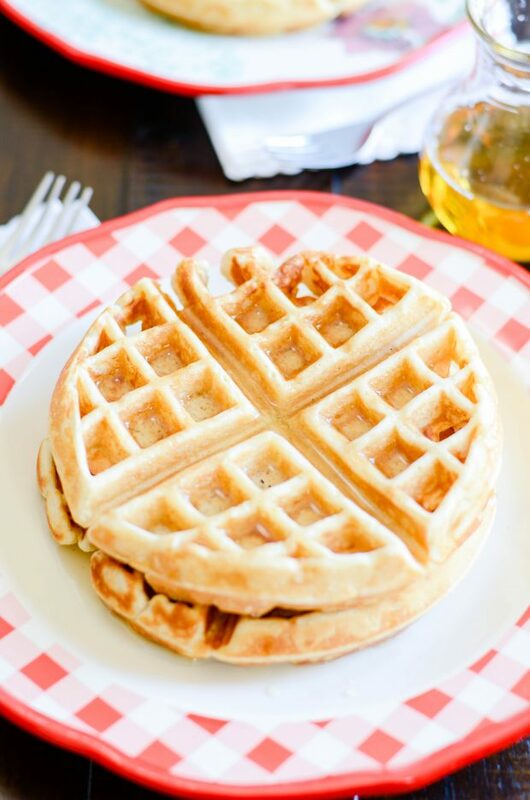 My very favorite, reader tested and approved, much beloved homemade Belgian waffles completely from scratch! 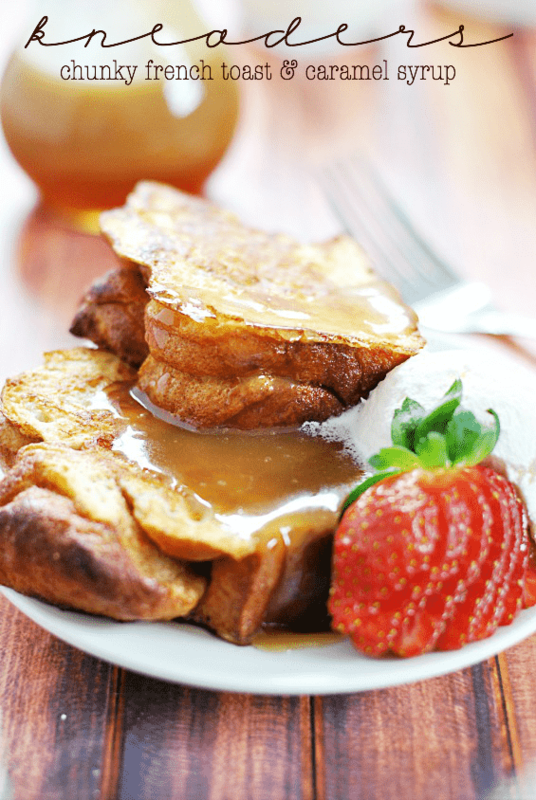 Part of the reason I love this recipe so much is because it’s SO easy to make. 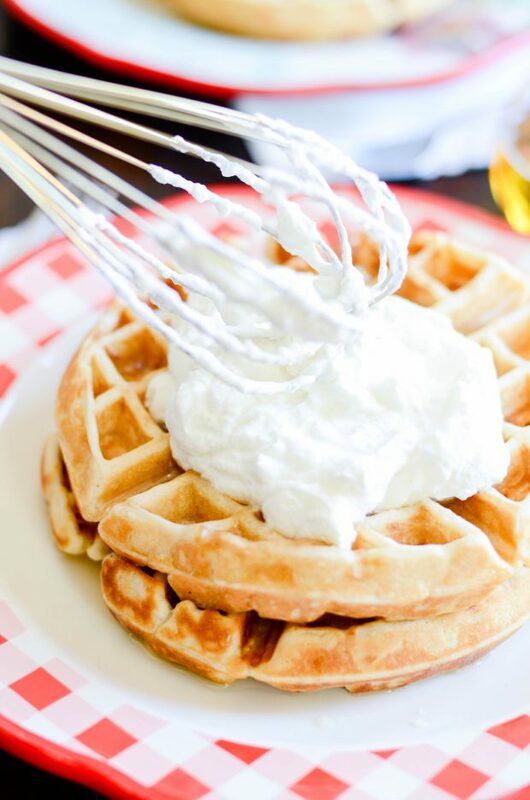 Lots of Belgian waffle recipes make you whip egg whites. Or worse– make you wait for the batter to rise! ???? Actually, yeast waffles are on my to-do list. So don’t be too surprised when you see them here at some point. 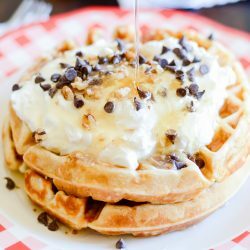 But in general, I like a waffle recipe that’s a simple mix-and-pour. 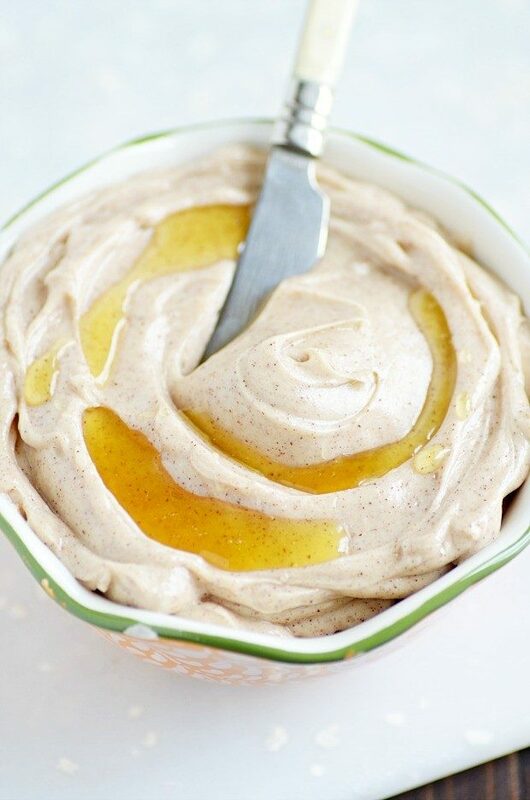 And when said recipe also tastes just like a recipe that calls for whipping egg whites? Super. My mom always made waffles for Sunday night dinner when I was growing up. But not just waffles. 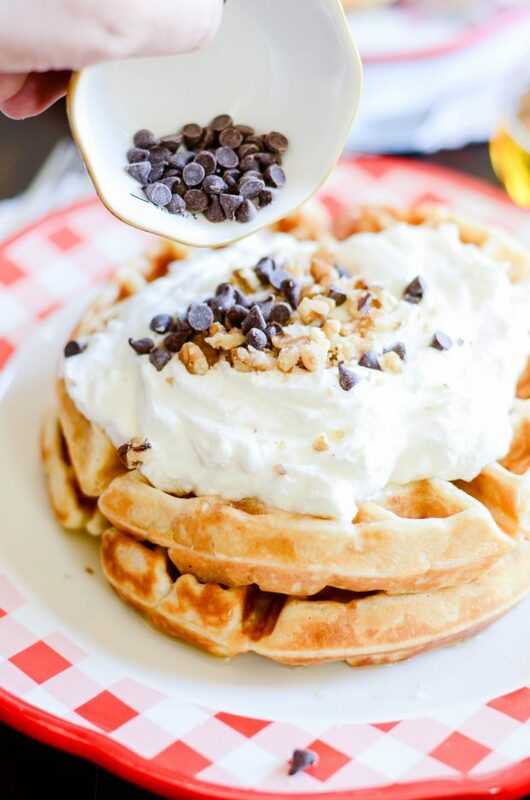 Waffles done up right. 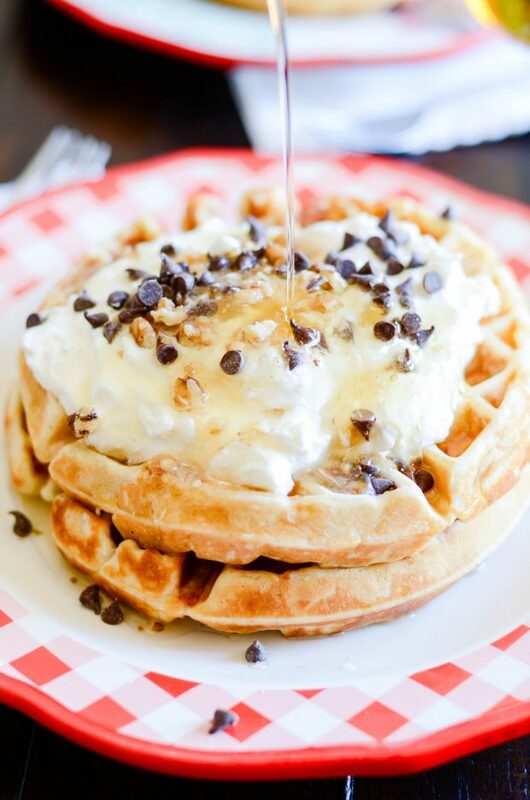 Whipped cream, real maple syrup, chocolate chips, strawberry sauce, pecans… the works. Which is exactly how I like to serve these to my family. There is seriously nothing better you guys. So good. This recipe is a total home-run in my book. And you guys love it too! If I had to pick one recipe that I have received the most positive feedback on, this would be the one. Which makes my heart feel all warm and toasty. Because sharing this recipe is like sharing a piece of my Sunday afternoon and a hug with each and everyone of you ❤️. Enjoy! And don’t forget the toppings. 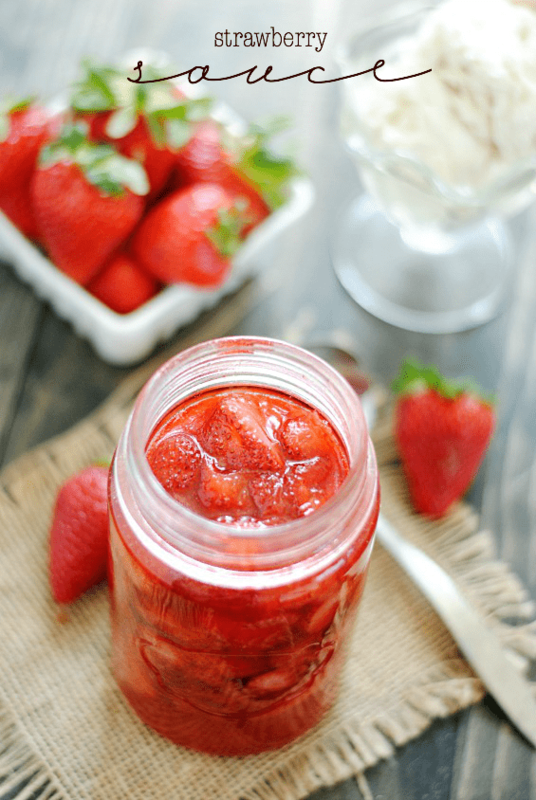 My personal favorite, Strawberry Sauce. 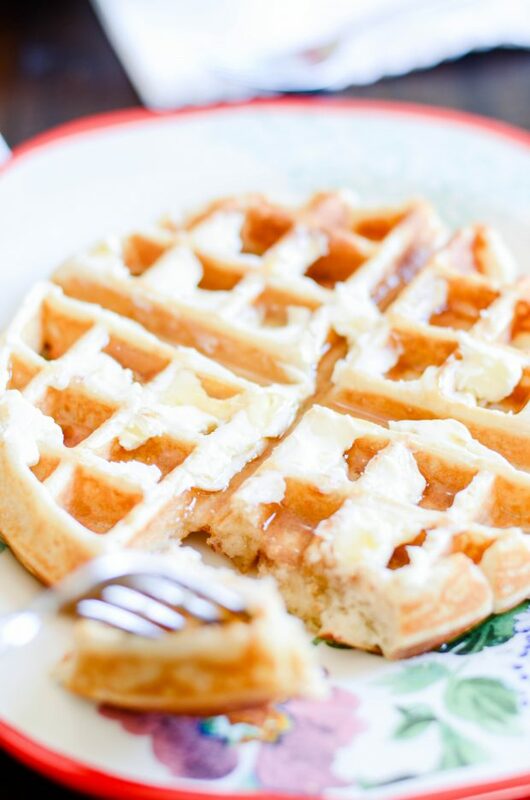 These are our family's very favorite homemade belgian waffles. Crispy on the outside, soft and steamy on the inside. Add the eggs, milk, oil, and vanilla. Mix until batter forms. Pour 1/2 cup batter onto hot waffle griddle and cook according to waffle maker instructions (will vary depending on appliance).